Aluminum cover on Utility Body. 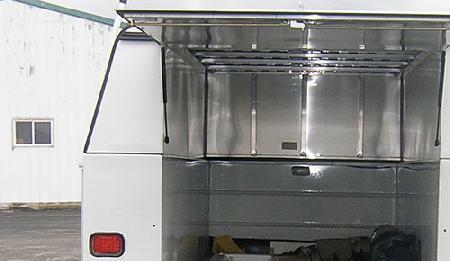 23"tall, Hatchback rear door with inner-skin, toolboxes are same depth of utility body boxes. You choose the toolbox depth.